Invariably, when executives try to figure out how to stand out in the job search, the subject of cover letters comes up – followed by confusion. Do you really need a cover letter for each executive job application? How can you be sure that employers are actually reading the letter you’re so carefully crafting? 1 – Yes, cover letters are read by (some) employers. However, this varies among different companies and their hiring practices. This informal survey from About.com shows some hiring managers are emphatic that a great cover letter will boost your chances of being selected for a choice interview. Studies in the careers industry also consistently nearly two-thirds of hiring authorities read cover letters, and of that group, nearly 50% consider them crucial. You’ll never know at the outset which third of hiring managers you’re dealing with, of course. Therefore, it’s better to be prepared with a strong personal brand message encapsulated in a cover letter, than to lose out on a great opportunity. 2 – Recruiters aren’t that interested in your cover letter, but like a short introduction. Most executive recruiters will tell you they have little use for a cover letter. In fact, since they’re experts in drilling into the heart of your resume to see your true qualifications, they may even consider your letter to be a bothersome part of the job application. However, you’ll find some recruiters advocate using a letter – even if they don’t personally prefer to review it, as outlined in this Forbes article. The reasons? You can often specify in a letter what is taboo to mention on a resume, such as relocation plans or a desire to return to work. Therefore, if a recruiter is your intended audience, keep your letter to a short introduction centered on the facts (what executive title you’re pursuing, whether you’re open to moving, etc. ), preferably pasted into the body of an email message. 3 – Some hiring executives actually prefer your cover letter over your resume. Believe it or not, many hiring authorities enjoy reading your cover letter (and may even place more weight on it than your resume! ), as they believe it provides insight into your personality. A CEO, for example, may skip over the resume entirely to read your cover letter – preferring it to the jargon of your executive resume. 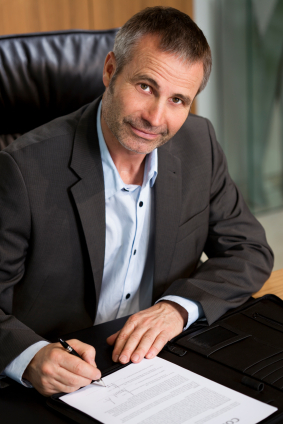 (If you’re presenting a case to become the next CFO, you can bet he or she will tend to your letter carefully.) Where cover letters make the most sense is when you’re pitching a company directly – without a posted job opening. You can use the letter to explain your interest in the company and your unique value-add to them. (Don’t know that? Get your research game on, using the firm’s annual report and googling for trends in their industry.) Bottom line, an expertly written, branded cover letter can be a potent job search weapon, even though your executive resume must be aligned closely with your goal. There’s always a chance employers will find your letter compelling enough to move you along in the hiring process. Award-winning executive resume writer Laura Smith-Proulx of An Expert Resume has a 98% success rate collaborating with executives and rising professionals to capture top jobs at Fortune-ranked corporations, startups, and emerging leaders. 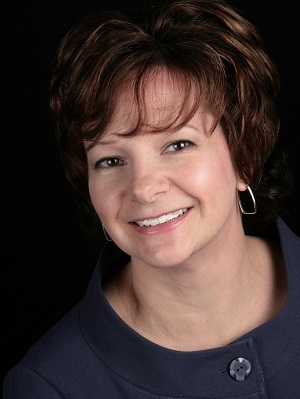 With 9 highly regarded industry credentials as a certified job search coach, master resume writer, LinkedIn expert, and former recruiter, Laura’s work has been published in more than 200 venues worldwide and featured in CIO.com, CareerBuilder, The Wall Street Journal, The Denver Post, Forbes, Monster.com, The Chicago Tribune, and other media. She holds the U.S. record for global resume writing TORI awards from 2007 through 2013, with 23 total distinctions. Laura is a featured Personal Branding and Resume Expert for CareerRocketeer.com and Careerealism.com, the National Resumes Examiner for Examiner.com, and Job-Hunt.org’s LinkedIn for Job Search Expert.